On November 2, 2015, President Obama signed the bipartisan budget bill which permits OSHA to institute a “catch-up adjustment” effective August 1, 2016. The increase that starts on August 1, 2016, and the subsequent annual adjustments for which the bill provides are to be based upon the Consumer Price Index (“CPI”). Other than serious: $12,600-$17,500. The maximum is currently set at $7,000. Serious: $12,600-$17,500. The maximum is currently set at $7,000. Repeat: $126,000- $175,000. The maximum is currently set at $70,000. Willful : $126,000-$175,000. The maximum is currently set at $70,000. This first increase is not the end of it. The budget bill also requires OSHA to annually increase the monetary penalties based upon the percentage increase in the CPI from the previous year. As a result, every January 15 OSHA will set new penalty amounts; and thus, employers need to pay attention. OSHA’s increased penalties are intended to increase employers’ attention to the safety regulations by putting some teeth into the monetary penalties. 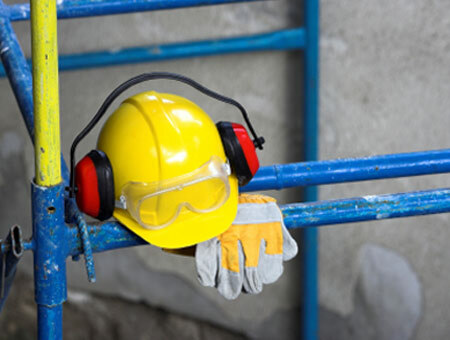 Regardless of the penalty increases, employers need to be prepared for OSHA to show up at their door and be prepared to handle an OSHA inspection. It has been easy in the past for employers to accept OSHA citations when the dollar amounts are reduced. However, with the increase in the penalty structure, a repeat violation can be quite devastating to a company. Look over your safety manuals and be prepared for a work accident and/or an OSHA inspection. Also, don’t be too quick to settle an OSHA case even now before the new penalty structure goes into place, since a possible repeat violation will have much more punch to it after August 1, 2016. If you have any questions about the OSHA penalty adjustments, how to handle an OSHA inspection or how to comply with OSHA’s regulations, please do not hesitate to contact BrownWinick attorney Brent Soderstrum.